The wait is finally over, the sticker book’s almost full, and sadly, you’ve drawn Saudi Arabia in the work sweepstake. Yes, the 2018 World Cup kicks off Today. 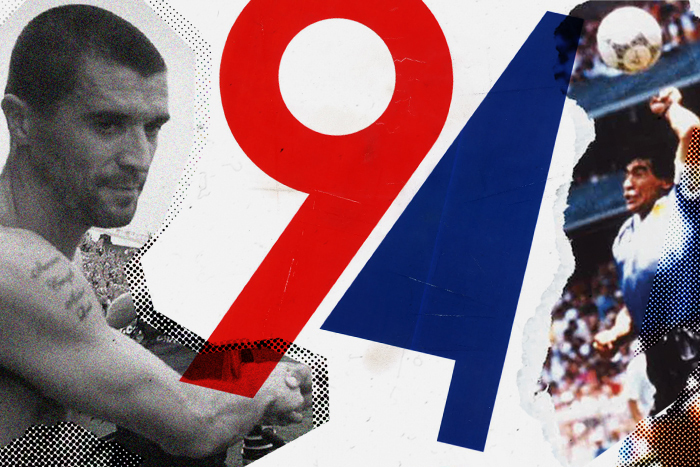 Throughout the years, FIFA’s flagship event has been littered with memorable moments on and off the pitch. 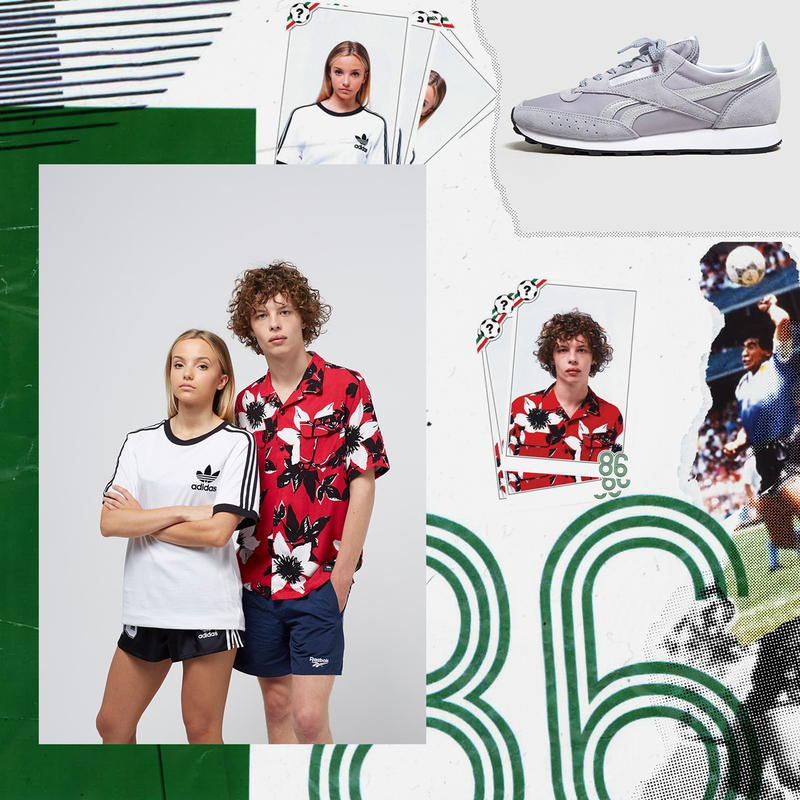 From colourful fans in the stands and eccentric team kits, to celebrity appearances, terrace style and haircuts, the surrounding elements of football’s elite festival often fascinate as much as the game itself. Whether it’s Beckham’s redemption from the spot in Japan or those fierce Romanian bleach blonde barnets in The States, the tournament always serves up unforgettable imagery. 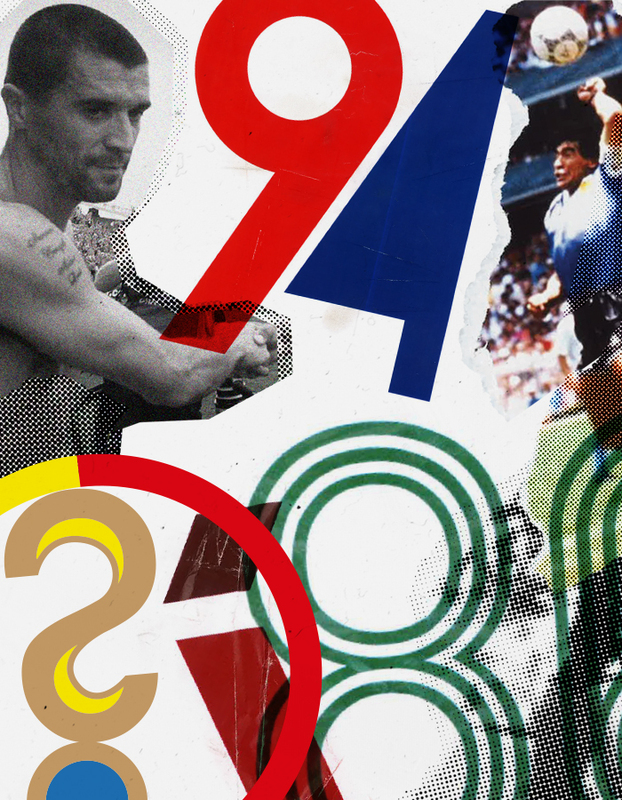 To celebrate this, we’ve had a look at the style relevant at the times of four of the most iconic tournaments in World Cup history. European sportswear was massive during the 80s, with adidas Originals product occupying the terraces. 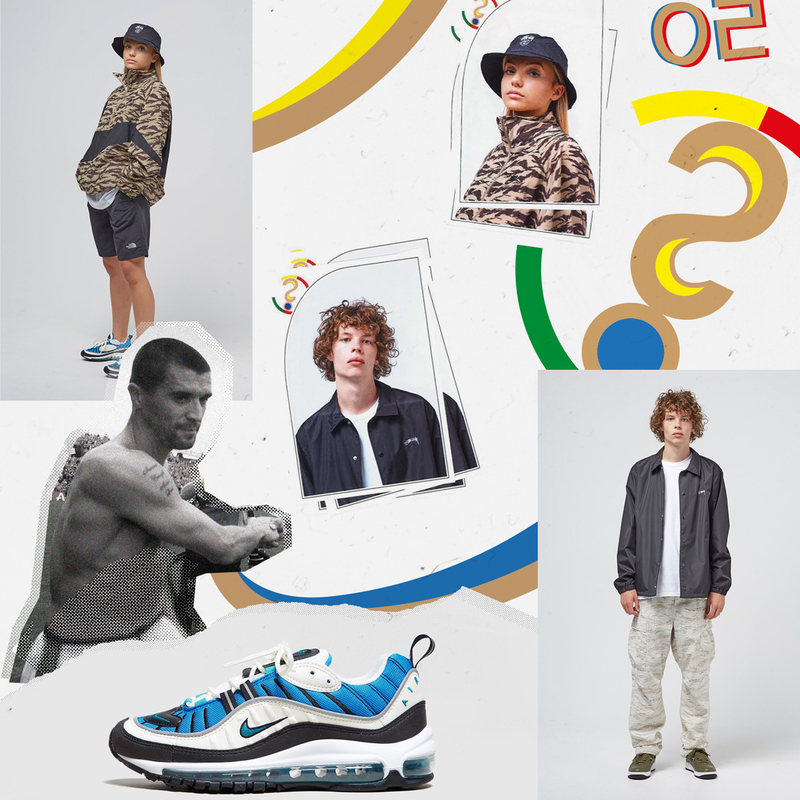 Fan styles were fitted, with tighter cut sleeves on t-shirts, short-shorts and suede trainers from the likes of PUMA, adidas Originals and Reebok. FIFA’s fifteenth installment was held across nine American cities. ‘Soccer’ fever hit The States in a big way, with average crowds of 69,000 breaking all previous attendance records. Marking a golden age in mid-90s football, USA ’94 is fondly remembered for Maradona’s last appearance for Argentina, Diana Ross’ less than supreme penalty, Carlos Valderrama’s tremendous hair and Republic of Ireland manager Jack Charlton’s numerous touch line spats in that iconic headwear. Fan style at the tournament was typical of the time: oversized and baggy, with strong logos on subtle white apparel, contrasted with vibrant patterns. Baggy white caps were seen on fans and managers alike, while popular tennis, basketball and running silhouettes from brands such as Nike, Diadora and adidas Originals were prominent in the stands. The 2002 edition was both the first World Cup to be held in Asia and across two nations. Shock results became a staple of the tournament, with favourites such as France, Portugal and Italy dumped out early doors. Roy Keane’s run-in with Big Mick McCarthy, David Beckham’s broken metatarsal and joint-host South Korea’s controversial march to the semi-finals all contributed to a classic month of international football in the Far-East. English dreams were once again destroyed by South American brilliance, as Brazilian genius Ronaldinho’s lob left a samurai looking David Seaman and his ponytail for dead. Style during the ’02 event was heavily influenced by Japanese streetwear, with pioneers such as Nigo and his Bape label inspiring the fashion of time. 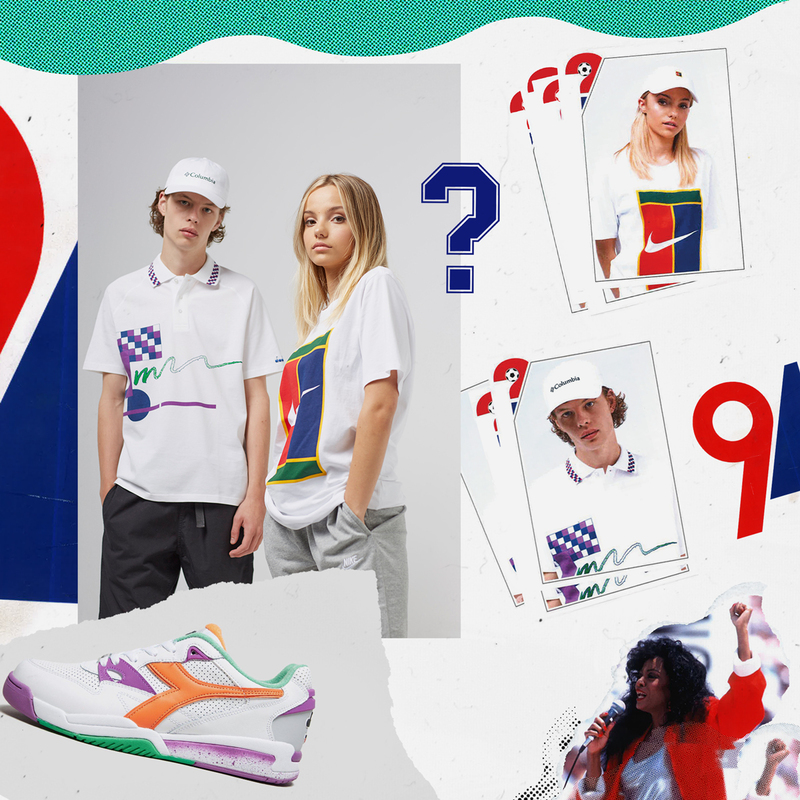 Alongside streetwear kings Stüssy and Supreme, apparel essentials were heavy in graphics and print, while oversized and boxy. Russia beat England plus the joint host combos of Portugal/Spain and Holland/Belgium to somewhat controversially land this year’s tournament. The Russian edition will be the first time the competition takes place in Eastern Europe, while also being the first on the continent since 2006. Football’s huge at the moment, from catwalks to inflated transfer fees, the game has gone bigger and bolder than ever. After a smooth Confederations Cup dress-rehearsal, The Russians are ready to host one of the most anticipated competitions in history. With World Cup debuts for Panama and Iceland, and familiar superstars Messi, Ronaldo and Neymar ready to stake their claim, Russia 2018 looks set to be one for the history books. 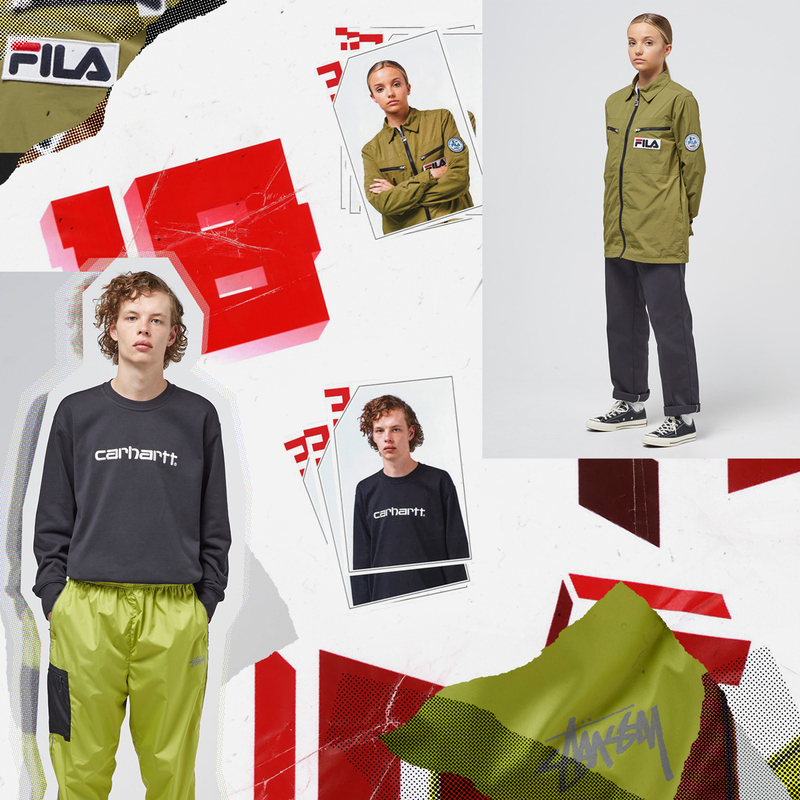 Style at the tournament will be heavily influenced by Gosha Rubchinskiy and the current wave of Russian skate/streetwear, with re-interpretations of classic European ‘terrace’ fashion, mixed in with big logos, wider fitted trousers and pops of neon colour. Next Post Next post: Chunky Runners at size?